There is no denying that this style comes from America whence the renaissance in letterpress printing has sprung. 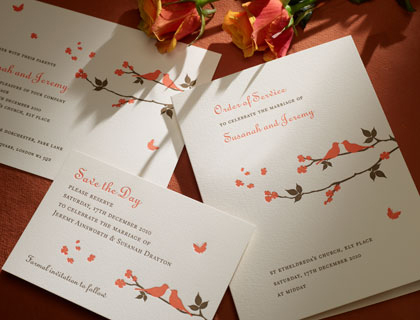 It is a charming design that conveys the beauty of letterpress but needs to be handled to be fully appreciated. We just love the pretty bird and butterfly design which can be reproduced in different coloured inks. The standard wedding invitation is printed letterpress in flamingo and chocolate brown ink, with Electra and Eloise font on 8″ x 6″ Oyster Impression single card, supplied with matching wove envelopes (unlined). 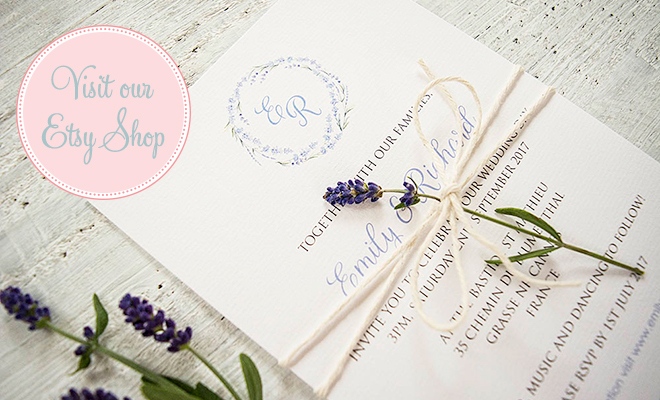 The invitation can be adapted to your preferred style and you have the option to alter: size, ink colour, print style and font, blind embossing, card type, lined envelopes, add bindi jewels or artwork to the design. © 2019 SJ Wedding Invitations London|ProPhoto Website by NetRivet, Inc.